The Worst Snow Car Ever was parked in several inches of snow when I left for Texas, and was buried in even more when I got back. 7 more inches, to be exact. Can you see it? Barely? It's under there, I promise. 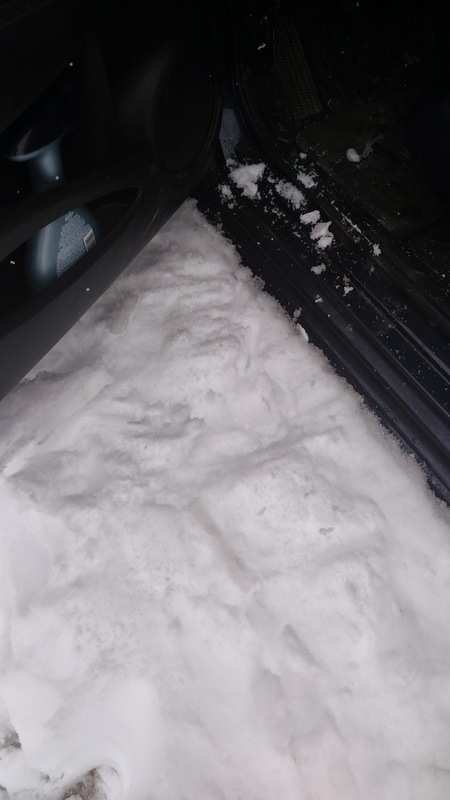 Yep, that's my floorboard on the right, my Auto Febreeze on the left, and smoothed out snow in the middle. 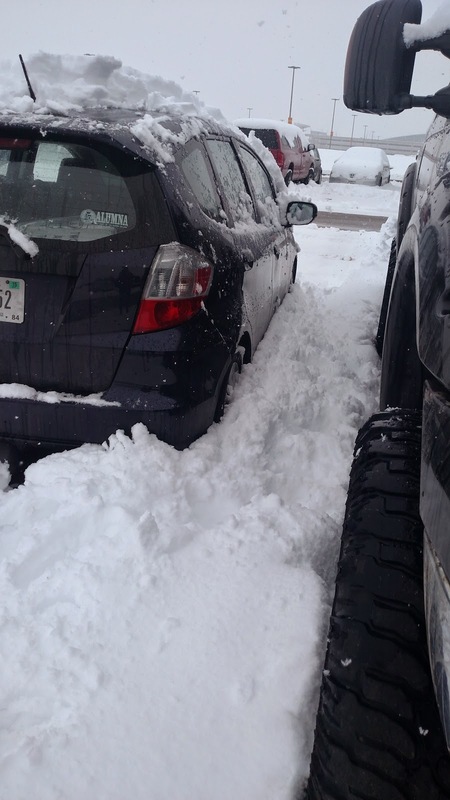 I was standing there staring at it and and contemplating digging out two tire tracks with my hands when Connor's breeder texted me to tell me she was minutes from the airport, where she was headed to pick her husband up, and she had a shovel in her trunk! I have a great friend with great timing! Thanks to my Other Mother, I got out of the parking lot and did go straight home. It made for a good story! So.Much.Snow! Yay for other mothers! Awesome timing!! That is a lot of snow! That is too much snow. FWIW, my 89 dodge omni was worse in snow than your car. It once got stuck in 2" before 7am am on a Sunday morning when it was below zero. Wheee. Ugh, that's horrible! Mine got stuck at the end of my driveway. 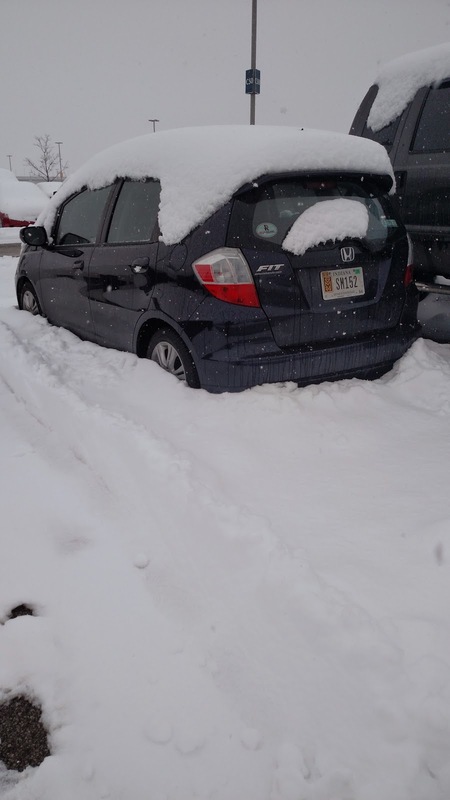 It was literally perched on a pile of snow with its wheels not in contact with the ground. We had to dig it out! Oh, man! That is SO ROUGH.